One of the things you might want to have with you as you are traveling is a hair dryer. You will need to dry your hair after washing it and even if most hotels offer such a device, you might not always have access to one unless you bring it with you. It is even more important to get a travel hair dryer if you go to a place where you know for sure that you will not find such a tool. But you can’t use one that is the same with your regular hair dryer because that will most likely take too much space in your suitcase and be inefficient. There are special hair dryers to take with you when you travel and they come with all the characteristic that you would expect them to have. But if you never bought such a travel hair dryer or you are not sure what to look for when you are shopping for one, here’s a complete guide to help you in the process! If you were thinking to rely on the hair dryers that you can find at different hotels, you might want to think again. Those hair dryers are weak and some of them can even damage your hair a lot by simply using them one time. Which is why it is best to bring your own travel hair dryer when you leave your home. But if you never bought one of these products, here are the most important aspects to consider before you pull your credit card out. The size of your travel hair dryer is quite important. You will want to be able to bring it with you as you want without worrying about the size of it or how heavy it is. And weight is especially important if you are planning to carry it or even fly with it because we know the luggage has to meet certain weight standards and every pound matters. Most travel hair dryers come with a foldable handle which is very convenient as it will save plenty of space in your bag or suitcase. Manufacturers try their best to surprise their customers with products that come designed with different and innovative features. While some are very efficient, others might not be so important to have. Which is why it is important to pay attention to these extra options before you purchase a travel hair dryer. You need to be able to control the heat level of your hair dryer as well as the speeds on it. And you also need it to come with a cool option. But besides these basic features, some come with dual voltage as well which is very convenient if you plan to use your hair dryer in different countries. And the number of watts they use is different too from 1000Watts to close to 2000Watts. The more Watts these dryers use, the better and faster they actually dry your hair. No one likes that static effect on their hair or the frizz that makes it look not styled at all. The good news is that you don’t have to put up with such side effects if you choose the best travel hair dryer. Look for those that come with ionic technology and ceramic coating in order to avoid such unpleasant effects. They are very common nowadays and since you have this option, there is no need to put up with the other side effects that only bring you discomfort. The manufacturer will specify if the product is made based on ionic technology or if it has ceramic coating so, all you have to do is read the description carefully. Most likely you allocated a certain budget for your travel hair dryer. And there is no need to not respect that. The market has something for everyone and you can be sure that you can find the perfect travel hair dryer for your budget. As a matter of fact, these products come in such a wide range that you can go as simple or as fancy as you want when you are investing in one. Nowadays the market offers a wide variety of hair dryers that you can take with you as you are travelling. And there are many reasons to do so in order to enjoy yourself more during your vacation. To save you precious time that you might spend researching for the best travel hair dryer, here are the best choices you can make by simply shopping online for such a device! BabylissPRO offers a great option of travel hair dryer that you can carry with you everywhere you go. Because it is made using the Tourmaline Titanium technology, this device will generate millions of ions in order to give your hair the shine that you are aiming for. You can dry your hair faster as well, thanks to the far-infrared heat which also helps styling it. 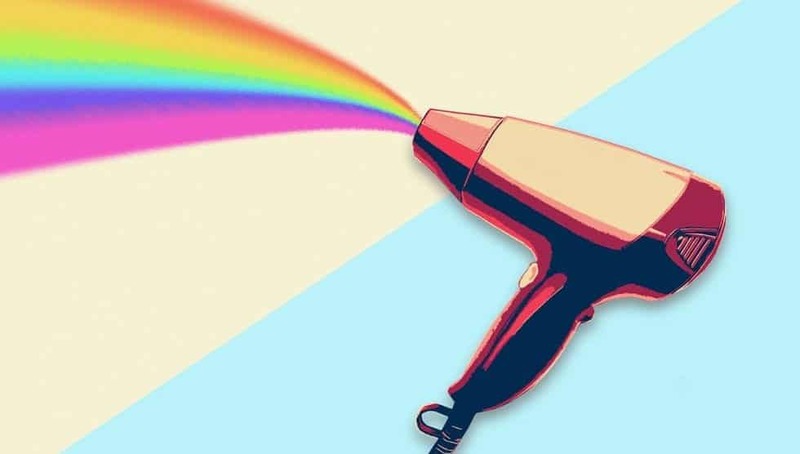 Plus, this type of drying, doesn’t affect your hair so much which is why you can use this hair dryer even daily, without damaging your hair at all. It comes with not less than 6 heat options as well as a cold feature and a power cable that is 9 foot long. The dimensions of this product are 8.5 x 3.5 x 11.2 inches and it comes in a weight of 3 pounds. It can be carried in any suitcase and even in your purse so you will always have the perfect hair that you are loving so much! Another good option to consider when you are looking for a portable hair dryer is the T3 Featherweight Compact Folding Hair dryer that can come with you wherever you go. It comes in a compact size which means that it will not take too much space in your suitcase with dimensions of 7.1 x 3.1 x 9.1 inches and a weight of less than 2 pounds. But against its small size, this dryer has all the options that a regular dyer would have. You can adjust both the heat level and the speed of this dryer and even use the cool button to define your hairstyle. The surface of this portable hair dryer is resistant to scratches and it comes with 9 foot long power cord. You can use it anywhere you want thanks to its dual voltage of 125/250 V and also enjoy the 2 years of warranty. This Panasonic travel hair dryer is one of the best you can find on the market. It has an attractive design and it is easy to carry around thanks to its compact size. This travel hair dryer will pull the moisture from the air and feed your hair with it by using the nanoe technology. Your hair will look healthier and more beautiful after every time you use this hair dryer. You can fold it easily to make it fit inside your suitcase or purse and take it with you to the gym or when you travel. With 1400 Watt power, you can count on this travel hair dryer in any situation. You can also adjust the airflow settings easily from low to medium and high according to your needs and preferences. Keep in mind that some hairstyles might require a different speed than others as well. The Travel Smart hair dryer by Conair is a great device to have with you at all times. It will save you from a variety of situations, no matter where you go. It is 1200 Watt dryer for a high-quality drying experience so our hair will be ready in minutes. This item is made for traveling thanks to its folding handle that converts it into a compact dryer to carry in your suitcase or purse. You can adjust the different settings such as the heat or speed, easily, by using the buttons on the handle. The 5 foot long power cord gives you freedom of movement as you use this dryer which increases the comfort. Also, this travel hair dryer comes with dual voltage so you can use it everywhere you want. Add to all this the fact that it has a modern design and a light weight of 12.8 ounces and you might just fall in love with this travel hair dryer. This mini hair dryer can be carried everywhere you want to thanks to its lightweight and small size. The product weight is not heavier than 15.2 ounces and its compact design allows you to carry it everywhere you need to. Inside the box, you will find the JINRI hair dryer, one concentrator nozzle and an instruction manual, all of which will serve you well as you start using it. It has a DC motor of 1000 Watts, meant to last for a long time. Thanks to the DC motor, this portable hair dryer is also very silent. The settings such as the level of heat and speed can be easily adjusted according to your needs. Along with this product you get a one year replacement policy as well as two years of warranty in case you have any issues with it. All these features make it a great travel hair dryer to take with you as you please! A more professional solution when it comes to the best travel hair dryer is this Ionic one made for the same standards they use in salons. This hair dryer has a 6th sense and it is completely made in France. The motor is very strong and made to overcome the quality of a regular hair dryer. This hair dryer comes with a velvet bag so you can store it as well as carry it comfortably. It comes in an ergonomic design that makes it easy to be held by anyone. and you will feel no discomfort in your hand, arm or shoulder. It comes with a 10 foot long power cord and uses 1600 Watts without wasting any power. You can use the switch that is attached to the dryer to turn it on for a silky hair or turn it off for an increased volume. And you can enjoy all these plus two years of warranty to have you covered, should you meet any problems. Conair Vagabond Compact hair dryer is one of the best travel hair dryers to use while you are on the go. It has a folding handle so you can place it easily inside your bag and take it with you anywhere you want. The power cord of this travel hair dry is 5 foot long which is just what you need to use it comfortably. The heat and speed can be adjusted by choosing one of the two options available and there is also a cool shot button to use in order to define your hairstyle. This item comes in the dimensions of 5 x 9.2 x 3.5 inches and a weight of only 1 pound. And its black color will match with everything. It uses 1875 Watts which allows it to be an efficient hair dryer in spite its small size. This travel hair dryer comes in a very light weight of only 350 grams which is less than one pound! You can use it at home but also on the go even if that means taking it with you to the gym, work or to a different country during your vacation. The handle is easy to fold which gives the travel hair dryer a compact size that you will love. And you can enjoy the silent feature of this dryer since it is not going to make much noise when you turn it on. It used 1875 Watts which makes it very efficient and powerful, even if it is so small. Your hair will be dry within 5 minutes so you can count on the efficiency of this product from the first time you use it. You can use 4 different settings such as Hot, medium, cold and off, according to your type of hair and the hairstyle you want to create. There’s no need to worry about overheating your hair as this hair dryer comes with a thermostat that protects your hair from such unpleasant side effects. The JINRI hair dryer is perfect to be carried wherever you want to have a perfect hairstyle. You will love its power and efficiency because it can dry your hair really fast since it is using 1875 Watts. You can choose between 110/125 V and 220/250V by switching the button attached to the handle. And speaking of the handle, this is a foldable one which makes the hair dryer achieve a compact form and size in a matter of seconds. It is designed to be used with a concentrator that can be removed and a hanging loop. This makes it easy to store and travel with. You get two speed and heat settings to choose from and a cool button. The frizz is reduced by the negative ion that is generated by the ceramic tourmaline. Overall, this is definitely one of the best travel hair dryer that you can settle for. This Revlon hair dryer is just what you need to take with you on vacation or at the gym and be prepared every time you need to take a shower and have the perfect hairstyle afterwards. It comes with worldwide dual voltage and has a compact size that you will find very efficient. Since it has a 3x ceramic coating and it is built with a ionic technology, this hair dryer will not create the frizz effect and will not damage your hair at all, no matter how many times you use it. You can choose between 2 heating levels as well as 2 different speeds and of course a cool shot. With this travel hair dryer you will have complete control over your hairstyle anytime you need a fresh look. Many women use hair dryers at home but they don’t think if they should get one with them when they travel around for work or pleasure. However, having a travel hair dryer comes with certain advantages that you might like more than you anticipated. Here’s why you should pack a good hair dryer when you leave your home. If you get your travel hair dryer with you, you know that it will not burn your hair or create a fizz effect when you use it. Since you put the time to decide on the best hair dryer to get, you can be sure that it will have no side effects on your hair. If you use other hair dryers like those you can find in a hotel, you might do more harm than good to your hair. 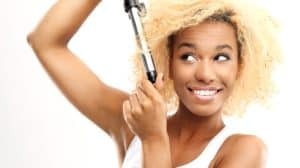 And since the high-quality travel hair dryers are co convenient and easy to find, there’s really no need to take such risks when it comes to your hair. Travelling with a hair dryer is very convenient. Most hair dryers that are made to be carried with you come in a compact size so you will not have to worry about the space they take in your suitcase. Also, they have a light weight which makes them very convenient as well as extremely portable. And this doesn’t mean that they don’t have enough power just because they are smaller than a regular hair dryer. You might be surprised by the power that some of these devices have and how much you will rely on them. This is very important especially if you are counting on your hair dryer to help you look perfect at any time. You can take your travel hair dryer with you at the gym so you can make sure that your hair looks perfect after you are done working out. Also, when you go in vacation you want to make sure that you can rely on your hair dryer to create the look you want. And if you get invited to a certain event, you will not have to panic since your hair will be perfect at all times! As you can see, there are plenty of benefits to consider when you are thinking if you should bring a travel hair dryer with you when you leave your home. But an obvious advantage is that you can use your travel hair dryer at home as well as on the go, especially if you get one of the best products on the market. So it becomes even more obvious why you should get one of these products. Your image is important and it speaks a lot about yourself so you can’t neglect the way your hair looks even if you are in vacation. Choose the best travel hair dryer for you based on this shopping guide and bring it with you everywhere you go! It might just become your favourite beauty device the more you use it since it will make your hair look like you just came from a professional salon, in a matter of minutes!